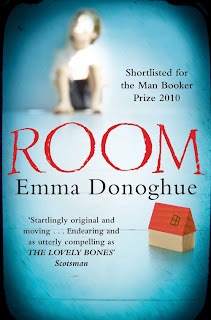 Room by Emma Donoghue is a unique and intriguing tale that unfolds through the eyes of a 5 year old boy. How long will it take for you to go crazy if you are locked up in a small room? 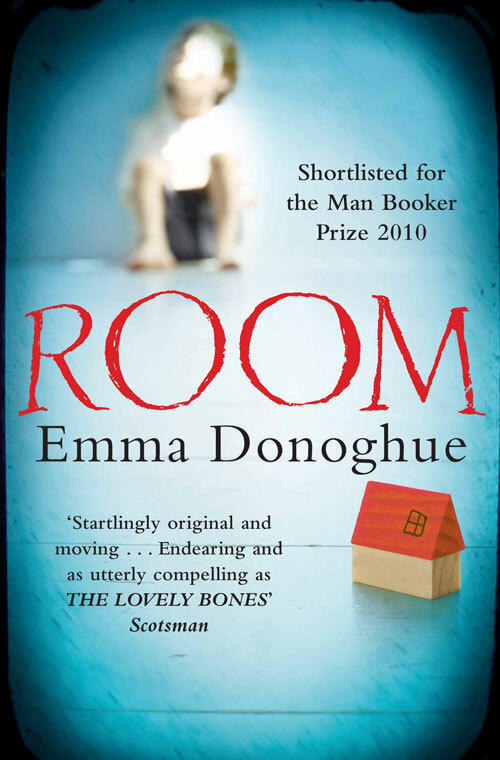 Emma Donoghue’s Room is the impressive story of a little boy, Jack, who lives in a small room with his mother. The story is narrated by Jack and it is both sweet in its innocence as well as incredibly sad. The resilience and enterprise of the mother, called simply as ‘Ma’ is nothing short of amazing. Perhaps one’s survival instincts come to the fore only when one’s ability and strength are tested to their limits. I was thoroughly impressed by the author’s imagination. Anyone who has spent some time with kids will tell you how easily and quickly children get bored and how they seem to have boundless energy. To confine a child and his entire world to a single room, then, and to spin a gripping yarn based on it is by no means a simple task. I mean, just think about it for a minute: what on earth will you do day after day, week after week, month after month, year after year with a small child locked up with you in a tiny room with only a few bare necessities? Room speaks to the reader on so many different levels and challenges our perceptions and perspectives. The contrast between a woman who grew up in the outside world and is now confined to the four walls of a room and a child who grows up only within the four walls of the room and is not even aware that a larger, outside world exists is sharp. For instance, while Ma wants the doors of rooms to be left open – because she can’t bear to see a locked door after years of forced confinement – Jack wants the doors closed – because that is what he is used to since birth, that is what he knows, that is what is familiar to him and offers him comfort and safety. This simple example so easily highlights the fact that we are afterall creatures of conditioning, who will however, eventually adapt to changing conditions if we have no other choice. It also subtly drives home the fact that different people are entitled to have different opinions about the same entity – be it an experience or an object or even, a way of life. It simply means that each of us and thereby our thinking has been shaped by our own experiences and the conditions that we were exposed to; that our brains come to a conclusion about anything based on our side of the story – because that it is what it knows and that is our reality. It might seem strange to someone else, but that is because their reality is different from ours. Room is set in contemporary times and the language is modern. There are many heart-in-the-mouth moments when you wonder if the book is going to end in triumph or tragedy and it kept me turning the pages. Room was shortlisted for the Man Booker Prize in 2010 and is one of the most memorable books that I have savoured of late. Definitely a must read! You've echoed my thoughts! So glad you liked it! I was so disturbed by the Cleveland case too, and I was reminded of this book... everything about the book rushed back to me when I thought of the young girl born in captivity. Have you read The Tiger's Wife by Tea Obreht? It seems that was the book which beat Room and actually won the Orange Prize in 2011. It is difficult to imagine how any book outdid Room - so now I'm eager to read that one! But sometimes these award winning books puzzle me! For instance, I'm reading Narcopolis now. I'm only a couple of chapters into it but it sure seems weird!